Audio player that after installation goes into tray of the Windows taskbar. There it puts buttons for control. You can choose the buttons you wish to see. The player takes very little of resources when it operates. Can be controlled by keyboard shortcuts or multimedia keys. Has a skinnable interface. 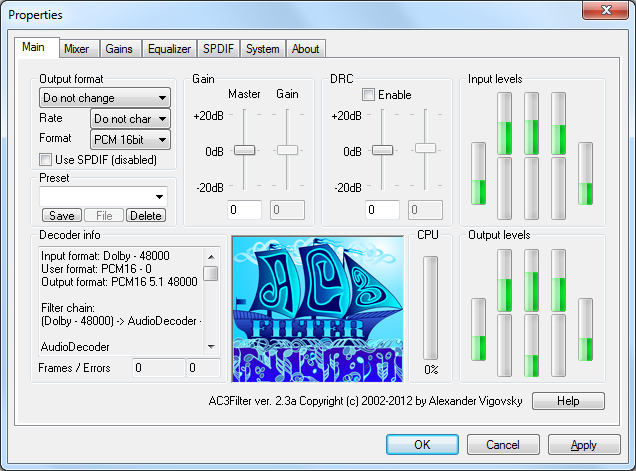 AC3Filter is open source DirectShow filter for real time audio decoding and processing. It can decode the audio formats AC3, DTS, and MPEG Multichannel. One of the best known audio players. 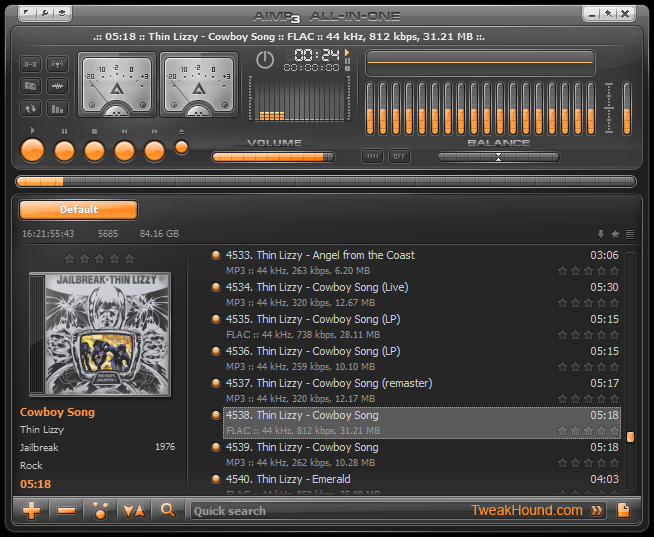 Supports most of the audio formats as MP3, Ogg, FLAC, etc. Has a skinnable interface, skins can be downloaded from here. Supports adding of plug-ins and multimedia keyboards. 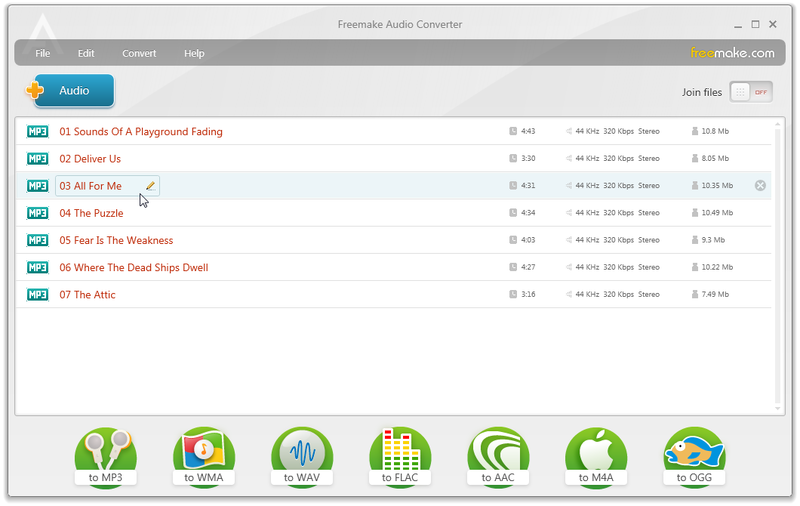 Converts audio from and to MP3, WMA, WAV, FLAC, AAC, M4A, OGG. Can extract audio from video files. Has a nice and simple interface.